Urban Decay Naked Eyeshadow Palette. This beauty started it all - the Naked craze. It is a collection of 12 neutral eyeshadows to suite daytime and evening wear, everyday makeup and smokey sultry vixens. This is a brilliant eyeshadow palette to start with. At £37, I say if you've got the funds, this is worth the splurge. Urban Decay Primer Potion (£15) makes for a great eyeshadow base. This fast drying base coat ensures your your eye makeup lasts and lasts. And lasts. And lasts. Must I go on? MAC Blacktrack Fluidline (£15) is a gel liner that dries to a natural finish, the blackest black. Applied with the MAC 266 Brush (£16.50), a skinny angled brush, makes difficulties applying winged liners a thing of the past. MAC Blacktrack Fluidline can also be used as an eyeshadow base which is perfect for smokey eye looks. NYX Milk Jumbo Pencil (£4.50 on Amazon) on the other hand is an exact opposite of MAC Blacktrack Fluidline. It is a matte white chubby pencil that is often used as an eyeshadow base to make bright eyeshadows pop with vibrance. Look this up on youtube to find fantastic bright eyed looks! Lancome Hypnose Drama Mascara (£22). Well well, if it isn't one of my favourite mascaras of all time! This mascara makes your lashes thick, long and multiplies them in a flash. I am often mistaken for wearing falsies when I wear this. I use the colour in black for a more striking look. Shiseido Eyelash Curler (£18). I was torn between this or the Shu Uemura Eyelash Curler. While the latter is more popular of the two, I have owned both and can safely say I prefer the former for big big lashes. I have used this in most of my beauty looks for the last few years (unless stated otherwise) and makes a big difference for my straight Oriental lashes! 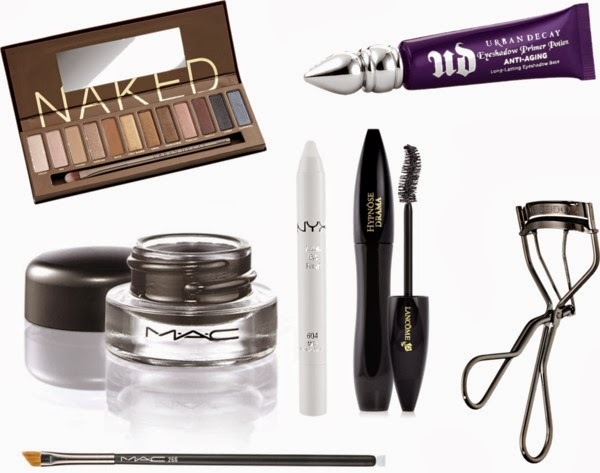 So that wraps up this cult faves post for the most popular products in eye make up history. i like the hypnose doll drama or something like that version of the mascara better. Seconding the Shiseido curler! I used it alongside MAC prep+prime lash serum and my eyelashes were out of this world! Benefit "They're real" mascara Is a cult product that I swear by. I've heard good things about this too!